Written below are lists containing the craft supplies, games, supplemental materials, and books suggested throughout the 5 Year Curriculum. While the lists may seem daunting at first, I believe that you will find the vast majority of the supplies already in your home. If they are not, I suggest that these items be available for your child to use and play with to expose your child to many textures, activities, books, and play. Items are divided into categories to make them easier to find and linked to Amazon so that you view a picture of each item. Most of these items should also be available at your local supermarket but may be substituted with other items on hand. 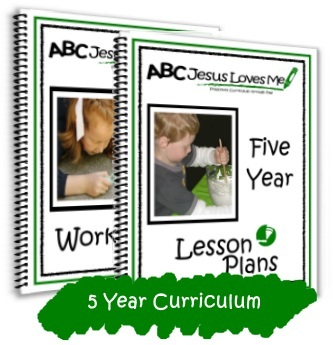 View the 5 Year Lesson Plans to see how each item is used. Week 2 I Am Invited to a Party! Week 25 The Tortoise and the Hare , Old MacDonald Had a Farm , Moo, Baa, La La La! Week 29 The Tortoise and the Hare , The Little Engine That Could , Enemy Pie , What Do You Do with a Tail Like This? _______ Veggie Tales: Are You My Neighbor? _______ What's in the Bible?